For many women, getting married is easily one of the most romantic ideas that they have ever dreamed of. In fact, a lot of women spend their youth thinking about that perfect wedding and what it will all be like. Unfortunately, reality sometimes hits as an adult when it isn’t as easy to afford that dream wedding as you once thought it would be. 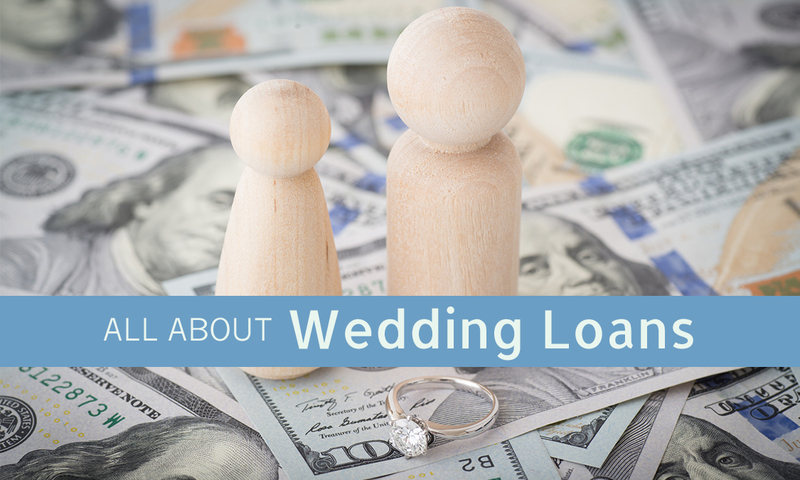 Fortunately, a lot of people can still have the wedding of their dreams by getting wedding loans that are intended solely for this purpose. After all, weddings are expensive. For anyone that doesn’t have a lot of money, the option is to drastically cut back on what the wedding entails or get a wedding loan in order to pay for it all. While getting a loan is certainly a viable option, there are a couple of things that anyone considering this option should know beforehand. It is imperative that any person who is considering a wedding loan create a wedding budget in order to know exactly where they stand. After all, you have to know how much money you are going to need to request in order to have that wedding you have always dreamed of having without putting yourself in a financial bind as you try to pay for it after the fact. Creating a budget and knowing exactly how much it will cost and how much you can kick in out of pocket, if any, will be hugely beneficial for you as you move forward. Every adult knows that there are pros and cons associated with every loan, and wedding loans are certainly no exemption. Obviously, taking the loan out allows you to afford the wedding you have likely dreamed of for years and may not be able to afford through any other avenue. With that being said, you might find yourself having a difficult time paying the loan off after the fact if you haven’t planned carefully before requesting a loan. In other words, know how much you can afford to pay each month on the loan and make sure that you stay within the confines of that budget. Don’t be lulled into thinking that you can have the most extravagant wedding in the world just because you are getting a loan to pay for it, as you will have to pay all that money back with interest over time. In closing, wedding loans can be the answer for any individual that really wants to have a nice wedding and simply doesn’t have the money to cover it. Like any other loan, you have to know whether or not you can fit into your budget in order to make monthly payments and keep the loan current but as long as you take the time to plan carefully and you are responsible for repaying it, this can be one of the best options available to you when it comes to planning the wedding of your dreams.